Is your achy body tired of getting out of bed every morning with back pain and stiffness? This stiffness may come and go, but the fear of "throwing" out your back is affecting how you live your life. Maybe you're not playing the sports you want to play, or picking up your children the way you desire. Perhaps you look in the mirror and feel unhappy with the shape of your body. Even more disastrous is that the constant numbing pain is taking a ﻿﻿﻿number on your concentration and daily productivity. But, it’s not your fault. A results-driven posture coaching plan for busy people, that will fix your hunched over posture once and for all. Years of desk work had messed with my alignment, and I had back pain. The pain was so bad, that I could barely stand for more than 2 hours at a time. ​I decided I needed a lifestyle change, so I became a personal trainer and wanted to help people get stronger. But, I had a HUGE dilemma. My pain made it difficult for me to stand and perform my new job. I would sneak back to the area of the gym where no one could see me, bend over, roll my neck, and do just about ANYTHING to relieve the pain. It didn't help. It would go away for a few hours, but eventually come back after another 2 hours of standing. My new career in the fitness industry depended on my ability to move, sit, stand, walk, lift and demonstrate exercises comfortably and effortlessly. The back pain was preventing me from being able to do all these things. I knew my poor posture from years of sitting in my previous career, was influencing my ability to thrive in my new career. It was debilitating. I was angry. The information out there on "how to fix your pain" can be overwhelming. How long should I hold it? There was no solid plan to overcome the hours of sitting and working at the computer, all day long. I spent countless days, weeks an years compiling the best information on posture, alignment and body mechanics. 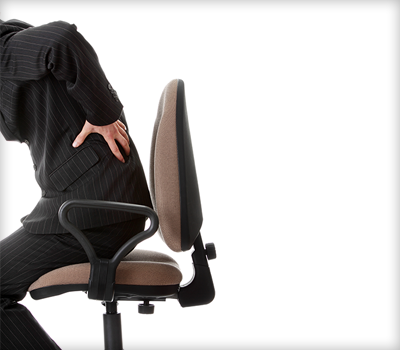 I've helped many clients overcome the pain they feel from sitting, all day long. 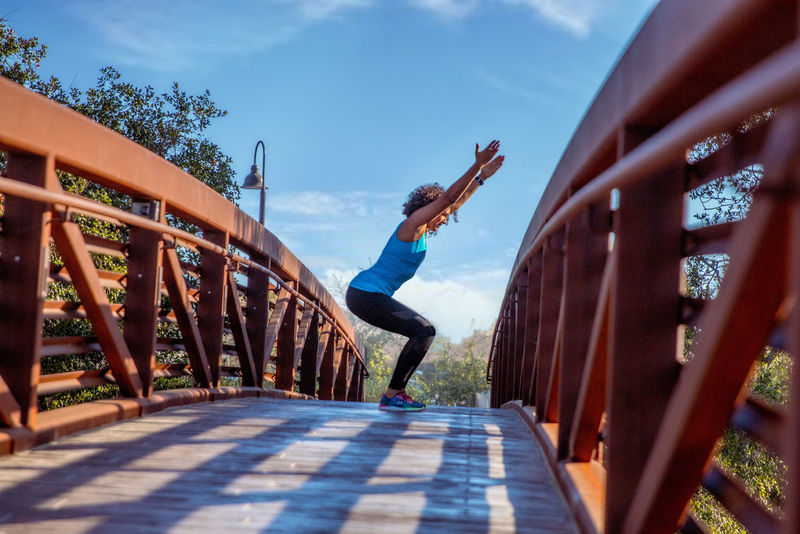 Perhaps you might suddenly be able to play your favorite sport again!You could work for hours at your desk, and know exactly what to do at the end of your day to move freely and pain free. Imagine looking in the mirror at their posture and not longer cringing at what you see!Wouldn't it be nice to lift those laundry baskets without fear of throwing out your back? “I have been experiencing chronic neck and back pain for several years now. I remember it first starting with a kink in my neck that never seemed to go away. I ended up going to the doctor who in turn ended up sending me for physical therapy. That, along with some visits to a chiropractor seemed to help for a little while. From time to time it would flare up a​​​​gain.I found a few exercises on YouTube that were recommended to correct forward head posture. I did some of those. I'm sure they were good. It was around this time I came across the VerticAlign website. Posture Coach Zeena seemed to have a solid plan of attack. A variety of exercises that would help improve my entire body alignment, not just one area. Sounded good to me, so I purchased the course.Did it work? You bet it did. Just take a look at my pictures after only one month. I look taller and leaner, although my weight hadn't changed. Did it help with my pain? I have not have any issues with neck pain since." NOW IS THE TIME TO SHARE THIS INFO ﻿WITH﻿ YOU! No need to spend countless hours searching the internet for videos and wondering if you're doing it right. The Slouch Solution is a targeted coaching program where you will be assigned home based workouts 6 days a week, that you can do in the comfort of your own home. You will be coached directly by Zeena Dhalla, internationally renowned Pilates instructor, published author, and certified posture specialist. The only equipment you need is a foam roller, a stability ball, and a tennis ball. Your coach will guide you on what to purchase if you don't have these items. Each workout lasts 20 to 25 minutes, so you can fit it into your busy schedule. Your coach will be with you to view your exercises and stretches if you need feedback, and nudge you if you miss a day. Home based 20 minute workouts are delivered to your email inbox, 6 days a week. Know EXACTLY what to do and how to do it. Upload videos performing each exercise (if you want) so you know exactly if you're doing it right or wrong. Get a nudge from your coach if you skip a workout. Feel relief from day one with therapeutic stretches and simple exercises. Build strength and endurance over the 4 week period. Feel more flexible, less pain, more strength, better endurance and an increase in energy, or your money back. Access to the PRIVATE Facebook Page to network with other like minded people, looking to change ﻿their﻿ bodies and eliminate their pain. This is what a day in your program will look like. It will be sent directly to your email address and will include video links to watch for each exercise. I had chronic hip pain for months. I tried chiropractic, massage and Pilates. 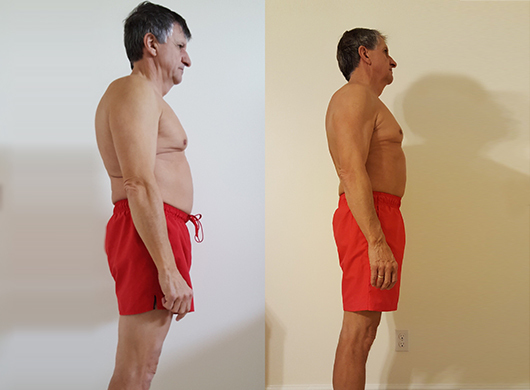 Within 2 weeks of doing daily VerticAlign workouts, my pain was GONE. Now I can workout whenever I want, wherever I want, however I want! After back surgery, my doctor told me to strengthen my back. I had no idea what to do! Apparently my posture was horrendous after years of sitting. 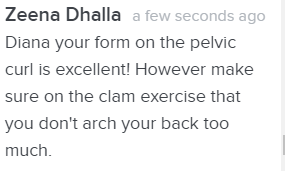 Zeena coached me back into shape and now I can move easily, safely and comfortably again! You no longer have to wake up thinking "what am I ever going to do about my ailing body". You will have Coach Zeena on your side cheering you on to a stronger, leaner, taller and more able body.You will have a plan. Something you can follow everyday and fit conveniently into your life. The last thing I want is for you to think you’re a lost cause. There’s nothing worse than feeling like your body is failing you, but you don’t know why, or what to do about it. This is why I created the Slouch Solution--so you can finally feel like yourself again. I know this course is the solution to your achy body and poor posture. I know it will fit into your lifestyle with ease and simplicity. 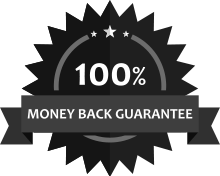 The exercises have been tested on clients with positive results, time and time again.If you try the workouts daily for at least 2 weeks and find you are not seeing results, I'll back up my program with a 100% money back guarantee. No questions asked. You have until the last day of the program (4 weeks) to request a refund. You will be asked to fill out a medical history form and upload posture pictures before you begin the program. All client information is private. This is for your own SAFETY! All medical history information and postural deviations are reviewed to make sure that there are no physical contraindications to any exercise within the Slouch Solution coaching program.